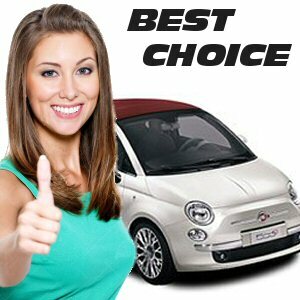 Terms and Conditions for Car Hire by TravelChoiceCars. Where can I find the Rental Terms and Conditions? Car hire terms and conditions can differ from country to country, car rental agent to car rental agent and vehicle to vehicle, always consult the specific rental conditions relating to your rental quotation. 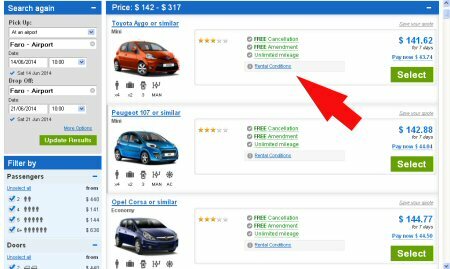 On the quotation page of our booking process you can find the rental conditions by clicking the Rate Details link located to the right of the car type. You can also find them on the third and final step of the booking process under the Rental Conditions link at the bottom of the confirmation page. Finally, your rental Terms and Conditions can also be found on the confirmation voucher you need to bring to the rental desk.